This woman’s story captivates and inspires me more than most I’ve heard. It’s definitely worth the read. An amazing story of a plant-based diet and breast cancer survival. 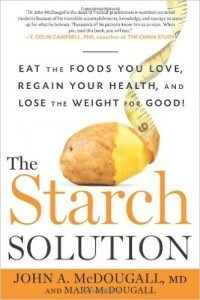 Ruth Heidrich, PhD, is an author, health expert, and amazing athlete, with an important personal story to share. He did, however, order a mammogram, “Just to be sure.” The mammogram was negative, which was reassuring. And so he told me that, to be safe, I should get yearly checks. And the next year’s test was also negative. The third year, however, the lump was clearly visible. The doctor looked shocked and ordered an immediate excisional biopsy. It turned out that the mammograms had been wrong all along. Not only was it cancer, but there were no clear margins. Ruth had to have more surgery in an attempt to get all the cancer. But it was too late. The cancer had already spread to her bones and to her left lung, and her liver enzymes were elevated, meaning it had apparently spread there as well. With no hope of removing the metastatic cancer, she was offered chemotherapy and radiation. Neither one promised a cure; they were a way to buy time, nothing more. “I dreaded chemotherapy, but was terrified not to have it. In addition to the hot spots in my bones, I was having serious bone pain that medication could not relieve. But in what I consider one of the best strokes of luck ever, I happened to see a blurb in the paper about research being done to investigate the role of diet on the spread of breast cancer. I literally ran to the phone to contact the researcher, Dr. John McDougall. He explained that he was investigating whether a completely vegan diet could be more effective in reversing cancer than chemotherapy or radiation. Given the options, it was a no-brainer. With great relief and little trepidation, I turned down chemo and radiation and chose diet instead. And it turned out to be exactly the right decision. No ‘transitioning’ for me—I went vegan that very day! I found the diet amazingly easy to follow. I already loved brown rice, whole grain breads, and oatmeal; I just had to replace the chicken, fish, and diary with vegetables and fruit and throw out all the oils. When I returned to the oncologist, I told him what I was doing. He responded by saying that diet had nothing to do with my getting cancer, and that I couldn’t possibility get enough protein, calcium, and essential fatty acids. I made a mental note to look into his concerns, but stuck with my new diet, after being reassured by Dr. McDougall that I would get more than enough protein, calcium, essential fatty acids—and everything else! The second major stroke of luck at that time was seeing the Ironman Triathlon on television. I was captivated by the idea of going beyond a 26.2 mile marathon. The triathlon was a 2.4 mile swim, followed by a 112 mile bike race, and then the marathon! When I found out that no cancer patient nor any woman as old as I had ever completed what was considered one of the most grueling races in the world, I found my challenge. I was especially excited to find that my new diet gave me more energy and faster recovery times. It got me back to running very soon after the surgeries and I added swimming and cycling to my daily training. The triathlon was every bit as grueling as advertised, and as I looked around and saw all these young, fit bodies, I wondered what I’d gotten myself into. Then I recalled my mission: to show people how powerful this vegan diet was. I did have to dig deep, however, as I was challenged like I’d never been before! Crossing that finish line 14 hours later, I experienced indescribable feelings—a mix of joy, empowerment, exhilaration—and total fatigue! I could not have gone another step! Meanwhile, I was being monitored to check the status of the cancer. Within two months, the hot spots in my bones began to fade. My body actually encapsulated the lesion in my lung, and my liver enzymes normalized. I felt healthy and strong. And I have remained healthy for over 30 years. 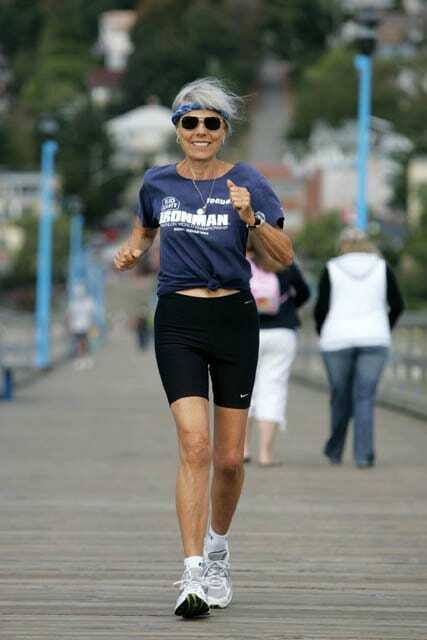 Dr. Ruth Heidrich is now in her 80’s and still running! Excellent Video Clip with her that is 3-minutes. Darren with Plant Fueled Life did an interview with her in 2015 and got a lot of questions answered. Story taken from Dr. Neal Barnard’s 21-Day Vegan KickStart book. 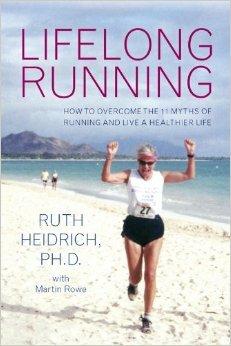 Lifelong Running by Ruth Heidrick, PhD. Click picture to view on amazon. Affiliate Link. A truely inspirational story of survival and hope. LOVE this story ! Always great to see how the vegan diet can help people in so many ways. I’d be interested to know what the surgeries were that she had. My mom passed of breast cancer, her sister had it (but had it out while still encapsulated and opted for no further treatment ), and my cousin (daughter of my mom’s sister) had it, surgery, chemo, radiation, life time meds which gave her liver cancer that killed her. I went vegan 4 and a half years ago as one way to hedge my bets against cancer. Love! Love! Love! Thanks for sharing!